One of the dangers in adapting a stage play into a film is that you won’t be able to break out of the theatricality inherent with so many plays. Fortunately, film director James Foley seemed to be acutely aware of this when he decided to take on Glengarry Glen Ross (1992), an adaptation of David Mamet’s Pulitzer Prize-winning play of the same name with the screenplay written by the man himself. 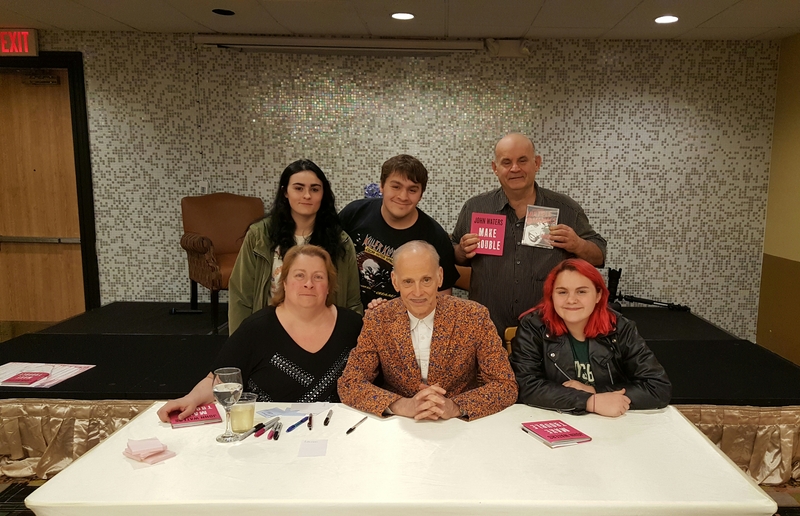 Lucille, Melanie, Danny, Jillian and I with director John Waters at the Holiday Inn in Clinton, N.J. on Tuesday evening, April 18th. The busiest juncture at Wonders in the Dark is nearing fruition, though the last stage of preparations for the first of two projects -the Allan Fish Online Film Festival- still needs to be finalized. Thank you to the many who have volunteered to pen introductions/framings/full reviews for the noble venture which was suggested by Jamie Uhler. The May 11th launch will in all likelihood continue until around the 25th. Depending on the final number of participants a final schedule is forthcoming. The follow-up project – the Top 60 Television Shows of All-Time is also reaching the stage where a mass e mail to prospective participants is imminent. Dennis Polifroni has taken a very active position on this polling -the one dearest to his heart- and has sent on some rules that he feels will contribute to the countdown’s success. These prospective guidelines will be sent on the day after the Allan Fish Festival in complete, and ballots can be sent all the way up until June 20th. The Top 60 will then start posting on July 1st and will continue unabated every day until the last essay on August 29th. Dennis has strongly suggested that each voting choice be no shorter than nine (9) shows. For example Ken Burns’ The Civil War, a critically venerated miniseries would quality for it, though barely. I have looked over the prospective rules, and have been most impressed. Voters are asked to vote for their Top 60, which will directly coincide with the Top 60 we will go with on the countdown. We live in one of those eras where whole nations (or nation-links) have been widely regarded as irredeemably perverse and evil. Over the years, Catholics, Jews, Communists, gays, Japanese, Germans, etc. have been subjected to fierce and massive opposition. 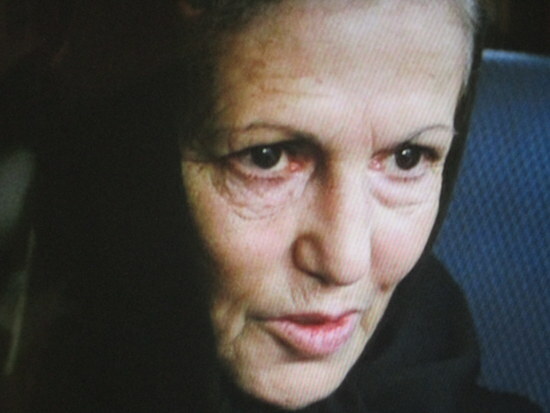 Therefore, when approaching a film notable like, Abbas Kiarostami (1940-2016), a rare artist refusing to cut ties with (though not a supporter of) militant Islam (within Iran), there is a special preparatory requirement to make very clear that our stalwart is, first and foremost, a citizen of the contemporary world, which is to say, the secular, cosmopolitan world. In view of this, we’ll put forward a glimpse of the heart of Kiarostami’s work, a glimpse which Michelangelo Antonioni would be touched by, not to mention many other modern filmmakers. Almost every year there seems to invariably be two similarly themed films duking it out for box office supremacy. One does better than the other because it comes out first or has a bigger movie star in it or is just better in quality. In 1989, The Abyss out performed two other underwater alien films, Leviathan and Deepstar Six. A few years later, Robin Hood: Prince of Thieves (1991) outperformed Robin Hood (1991) thanks to the movie star power of Kevin Costner. In the late 1990s, you had the competing asteroid disaster films with Armageddon (1998) vs. Deep Impact (1998) and the rival erupting volcano thrillers, Dante’s Peak (1997) and Volcano (1997). In the mid-‘90s, Hollywood was at it again with competing Wyatt Earp biopics: Tombstone (1993) and Wyatt Earp (1994). Despite the former having an earlier release date, the latter featured Costner in the title role of the legendary lawman and with respected screenwriter Lawrence Kasdan behind the camera. In addition, Tombstone was plagued with publicized production problems as its director was fired early during principal photography only to be replaced by another with almost no prep time. Amazingly, against the odds, Tombstone was not only made, but also won the box office showdown over the much longer, slower-paced Wyatt Earp. Audiences preferred the more entertaining, action-packed Tombstone with its fantastic cast of character actors led by none other than Kurt Russell. His film delivered the goods, plain and simple. Despite the absolute critical drubbing it received upon its theatrical release, it should be regarded among the best westerns of the ‘90s alongside the likes of Unforgiven (1992) and Dead Man (1995). An Allan Fish Online Festival will commence on our beloved site colleague’s birthday (May 11) and will continue at least for 14 days, though it could well run a few days more (perhaps until May 28th) depending on the level of participation. The original suggestion made by my longtime site colleague and friend Jamie Uhler, and this resilient Chicagoan has created quite a magnificent poster, while setting the ground rules for the project’s execution. The specifications were sent on to a limited e mail chain of past countdown writers as well as site members, but nothing is set in stone as far as the actual number, so anyone not previously included is welcome to speak out in the comment section under this post. The choice for each writer will be to review a film they found online (Allan’s oft-used method of finding rarities) and it will run at WitD and the blogsite of that day’s participant. Obviously we have a little over three weeks left before we will be launching this and no definitive schedule is expected to be finalized before maybe May 5th or so. I am guessing that when the smoke clears as far as acceptance e mails go, that we will probably have 17 people writing single reviews. Unlike other projects at the site there will be only one review to a customer, which of course will allow most invited to accept. What was originally posed to be a one week tribute could well end up being close to three weeks, but as Jamie said in response. “the more the merrier.” Also, since this is the first year in a planned project to carry over to other years the bigger pool seems appropriate. Those planning to participate are asked to respond to me directly on the e mail sent out. Note: just to reiterate, the May 18th final date has now been expanded and will be finalized as soon as I find out how many will actually contribute. Then, in late June we are planning to commence with the long desired Greatest Television Show/Series countdown. Voters will choose their Top 50, the countdown will go with a Top 60, so we can enjoy ten extra essays. American, British, and all other foreign country programs will be considered (Berlin Alexanderplatz from Germany for example) and mini series like The Civil War, I Claudius, The World at War are all game. I will send out the first e mail to the group in a few weeks, but be advised that anyone really taking this project seriously may want to brush up on some shows. The 1990s was a good decade for Jennifer Jason Leigh. She was not only prolific, flirting with mainstream movies like Backdraft (1991), but also at the height of her creative powers, turning out one astonishing performance after another, disappearing into her roles with chameleon-like proficiency. It was also the decade where she tackled her most challenging roles in a way that threatened to alienate the critics and her fans. In Georgia (1995), she played a struggling musician that has the heart but not the talent as evident in an excruciatingly awful cover of a Van Morrison song that goes on for so long that it tests the resolve of even the most die-hard Leigh fan. She also tackled stylized, almost impenetrable accents in The Hudsucker Proxy (1993), the Coen brothers’ homage to screwball comedies, and her crowning achievement, Mrs. Parker and the Vicious Circle (1994), where she portrayed legendary writer Dorothy Parker with incredible accuracy. The film was directed by Robert Altman protégé Alan Rudolph, a talented filmmaker with a frustratingly uneven filmography. With Altman attached as producer, Rudolph was able to assemble an impressive cast – a who’s who of ‘90s character actors, like Campbell Scott, Lili Taylor and James LeGros; and survivors from the 1980s, like Matthew Broderick, Jennifer Beals and Andrew McCarthy. It is to Rudolph’s credit that he is able to handle such a large and diverse cast, so much so that a cheat sheet is almost required in order to keep track of who everyone is. Admittedly, Rudolph plays large portions of Mrs. Parker and the Vicious Circle fast and loose, letting this talented cast run with their characters. For the most part it works, especially the scenes that take place in the Algonquin Hotel. Spring weather has finally asserted itself in the New York Metropolitan region as the week before Easter is upon us as we near the middle of April. The Tribeca Film Festival launches in just nine days, though the actual schedule -aside from the special events- begins on Thursday, the 20th. Lucille and I will be super active as always, and I’ll be reporting on FB and back at the site here on successive Mondays. The Montclair Film Festival begins immediately after Tribeca concludes, and there are two dates we will be attending, as our friend Jay Giampietro’s new short is being screened on the opening Friday.